Buffalo Bill Dam was designed as the tallest dam in the world and is responsible for turning the virtual desert of the Big Horn Basin into one of Wyoming's most fertile farming lands. Buffalo Bill Dam, Wyoming, was completed in 1910 and stands at an impressive 325 feet. The dam was built to irrigate the Cody landscape and was responsible for turning the northern Big Horn Basin into fertile farming land. Take a trip to the the Visitors Center, 6 miles outside Cody, and see the dam for free. Designed as the biggest dam in the world, Buffalo Bill Dam, Wyoming, was completed in 1910 and helped irrigate the Big Horn Basin and make it one of Wyoming's most fertile farming regions. At an original height of 325 feet, 70-foot length and a 200-foot crest it is a truly impressive structure and cost $929,658 to construct. Visit the Buffalo Bill Dam Visitor Center and see a breathtaking view of the Shoshone Canyon. The Buffalo Bill Dam Visitor Center is 6 miles west of Cody at 1002 Sheridan Av, Wyoming. For more information contact the center at 307-527-6076. The Dam is open May to September approximately 8am-6pm (opening at 10pm on Sundays). Hours extend to 8pm Mon-Fri in June, July and August. 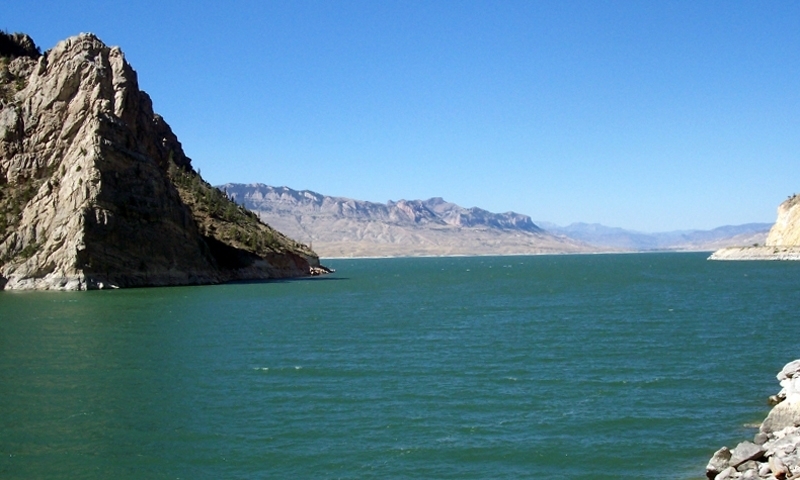 It is free to tour the Buffalo Bill Reservoir and Dam at your leisure. Buffalo Bill spent years attempting to promote and raise money to fulfil his dream of irrigating thousands of acres of arid land and make Cody a thriving farming town. Due to his impressive feat and the historical significance of the structure, Buffalo Bill Dam was added to the National register of Historical Places in 1973. The Buffalo Bill Dam Visitor Center welcomes visitors and locals to tour parts of the dam and to enjoy its history filled museum. Bridge Bay is a main boating hub for Yellowstone Lake. Yellowstone's lakes offer excellent summer fishing, boating, and camping.